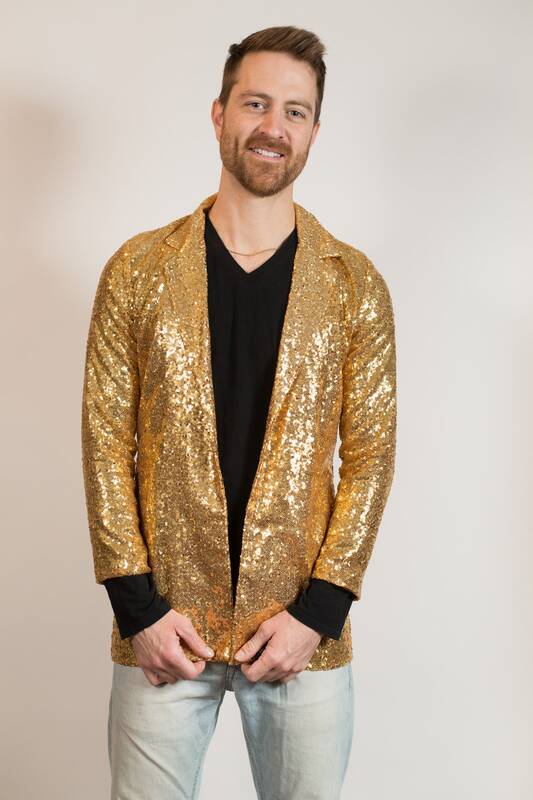 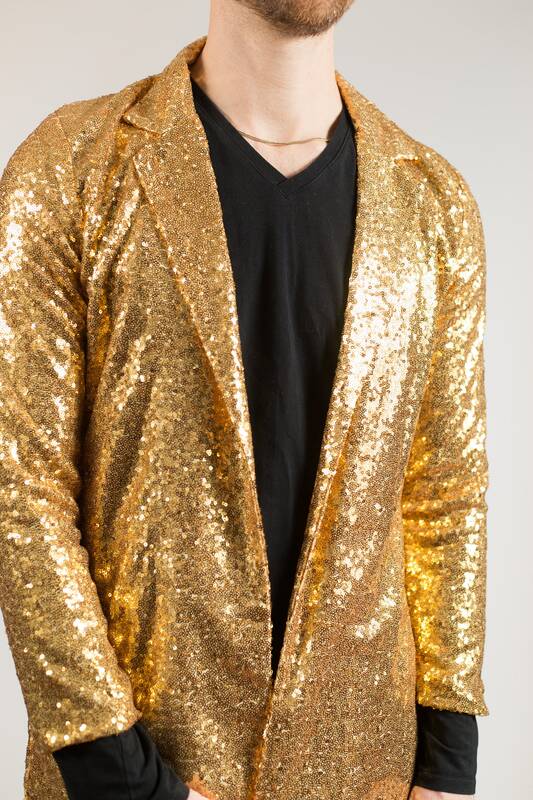 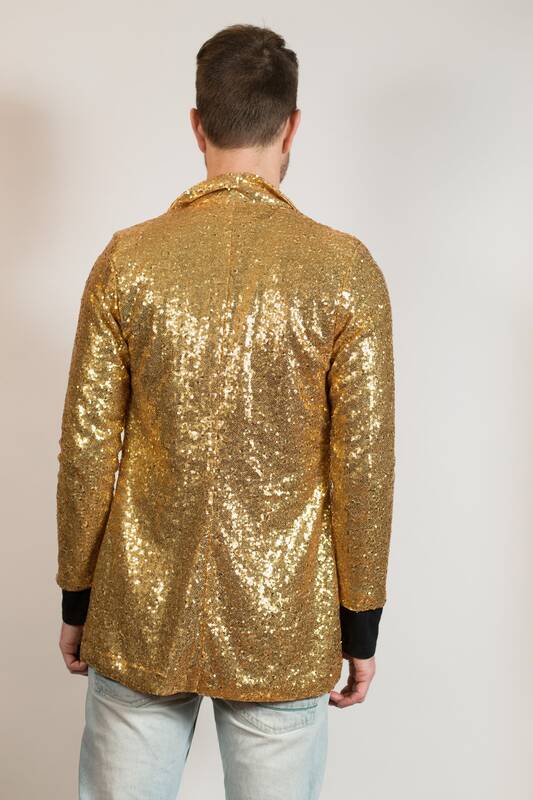 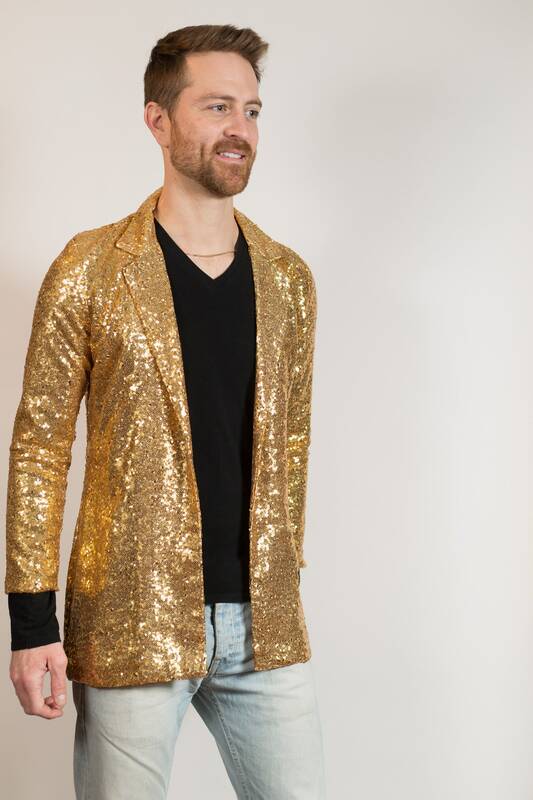 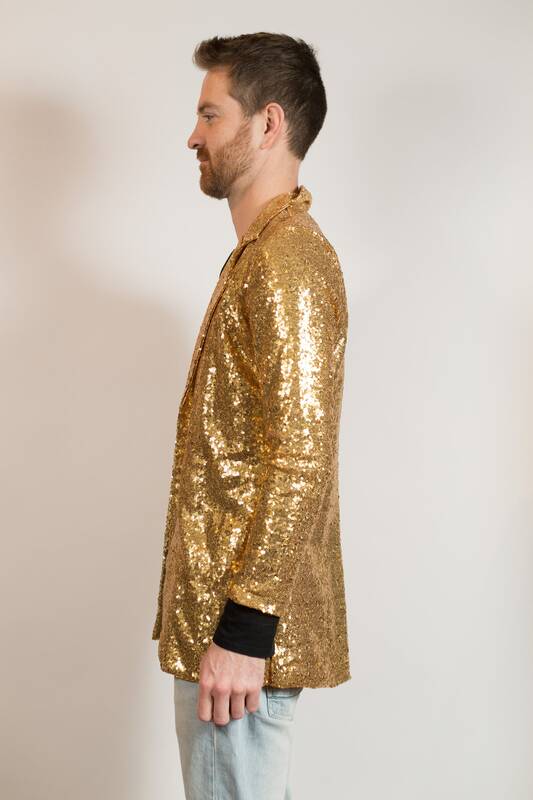 This is a great gold sequin blazer. 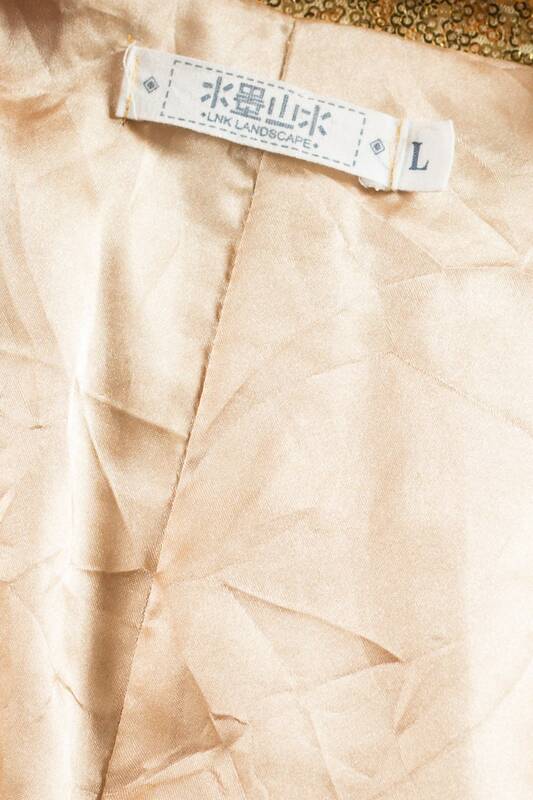 There is no closure clasps or buttons. 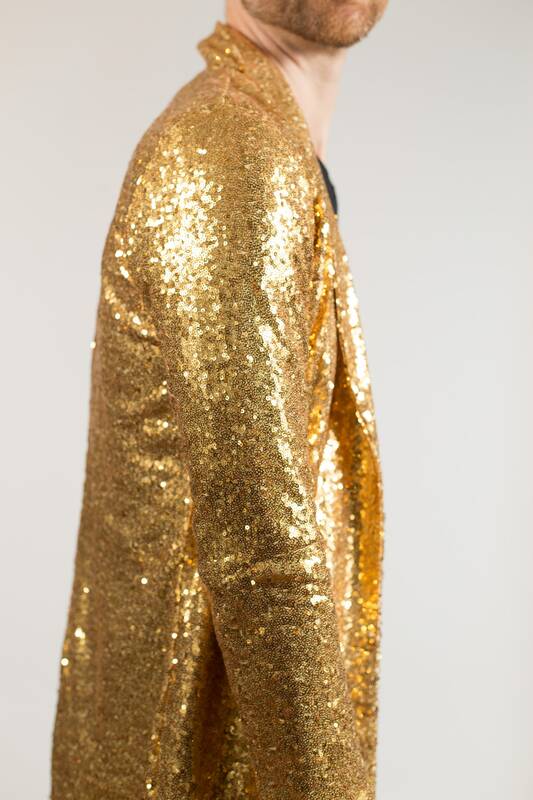 meant to be worn open. 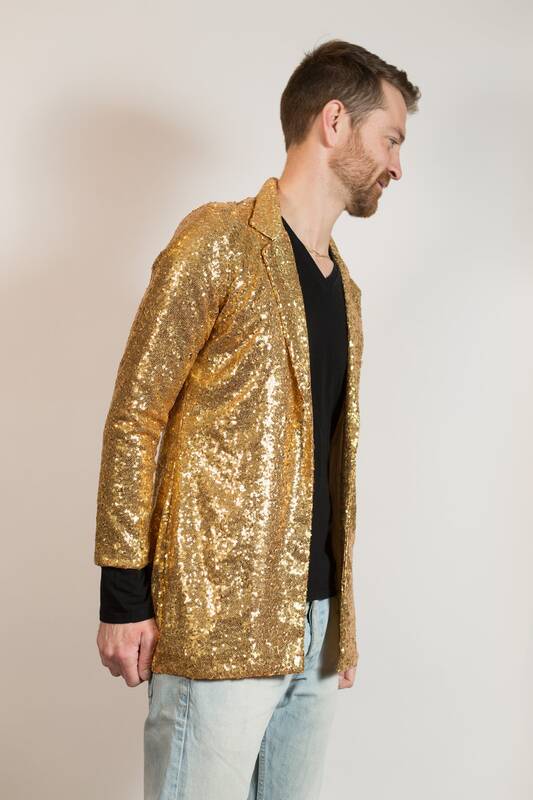 Size: men's medium, women's large (Model wears medium and is 5”11, is a slim fit on him). 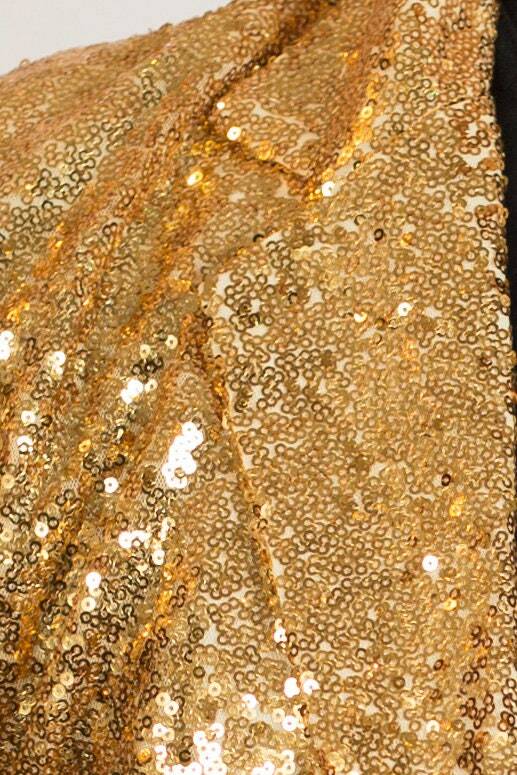 Material: polyester lining, sequin shell.